The much-loved comic hero Tintin turns 90 this year! 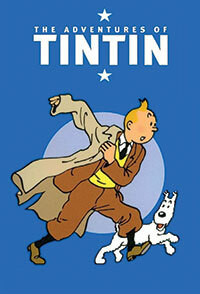 Tintin, the Belgian investigative reporter created by Georges Prosper Remi who wrote under the pen Hergé, has fans across generations and countries, with the comic series being published in over 70 languages. It’s never too early to begin reading a Tintin comic. But for those getting started, here are some essential facts about Tintin and his creator. Family ties. Tintin creator Hergé’s father and uncle were twins and inspired the characters of the Thompson twins. Opera singer Bianca Castafiore is inspired by his grandmother. Snowy tales. The first in the series, Tintin in the Land of Soviets, was published in 1930, introducing readers to white fox terrier Snowy. First on the moon. The Explorers on the Moon was published in 1954, 15 years before US astronauts Neil Armstrong and Buzz Aldrin landed on the moon. Spot the creator. Hergé appears in a cameo in all the comics and onscreen as well. Jordan Shapiro, a professor in the intellectual heritage faculty at Temple University, Philadelphia, USA, provides a new contrarian perspective on digital addiction. He believes that gaming and technology confer many benefits and families and children must engage in them. “Digital tools act like a bridge between individual and common experiences. They ease the strain between inner and outer realities,” writes Shapiro. 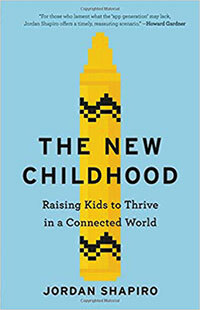 Drawing on latest research, Shapiro offers practical advice on how to parent and educate children effectively in a digitally connected world, and how to use technology to engage with kids and enable them to learn and grow. If you want children to understand the human tragedy of the India-Pakistan Partition of 1947, this book is strongly recommended. Well-known poet and Bollywood lyricist Gulzar witnessed the horrors of Partition first-hand and it’s a theme he often returns to in his writings. 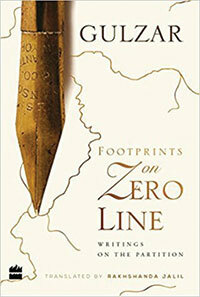 Footprints on Zero Line is a collection of his finest work — prose and poetry. The first part features Gulzar’s poems where he reminisces about his hometown, Dina, now in Pakistan. The second half comprises short stories depicting the human suffering and devastation caused by the Partition. What sets this book apart from other writings on Partition is that Gulzar looks beyond 1947 to narrate how this division continues to affect our lives today.